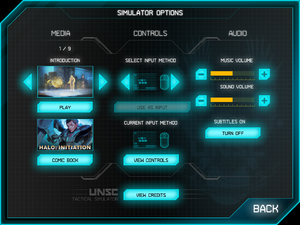 Does not include the co-op mode added in the Xbox 360 and Xbox One versions. Microtransactions were removed in the Operation Hydra update on August 29, 2013. Purchase also includes the Windows Phone version. A Lite version (trial) is available for the Microsoft Store version. 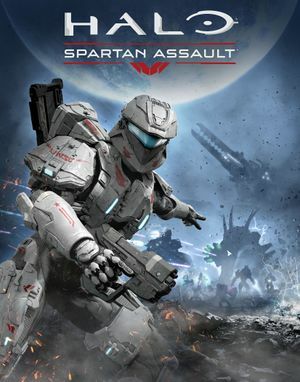 Apply the Halo: Spartan Assault intro skip. Microsoft Store save games are cross-platform cloud synced to Windows Phone 8 and Xbox One. Syncs progress with Xbox One and Windows Phone. Vert-. Native for Microsoft Store; for Steam use Borderless Gaming. See the WSGF topic (Steam version only). Toggle with Alt+↵ Enter for Steam. True for Microsoft Store, false for Steam. Up to 8x AA for Steam version; false for Microsoft Store version. "Refresh rate" in Steam version. Microsoft Store always has Vsync. Set "Refresh rate" to Full (capped to monitor refresh) or None (uncapped). True for Steam (mouse cannot be remapped); false for Microsoft Store. Both versions are fully playable with touch input. True for Steam; Microsoft Store defaults to mouse/touch every launch. ↑ 1.0 1.1 File/folder structure within this directory reflects the path(s) listed for Windows and/or Steam game data (use Wine regedit to access Windows registry paths). Games with Steam Cloud support may store data in ~/.steam/steam/userdata/<user-id>/277430/ in addition to or instead of this directory. The app ID (277430) may differ in some cases. Treat backslashes as forward slashes. See the glossary page for details. This page was last edited on 29 October 2018, at 11:36.